Two Different Layouts to Choose From! Three-Home Slider or 3 X 4 Photos Grid! Create as Many Widgets as You want on Multiple Pages! Actually our ApexIDX MLS search system has TWO different Featured Homes widgets: The Featured Homes Slider and the Featured Homes Grid! Why two Featured Homes widgets? Because two is always better than one! Two Featured Homes widgets means, as a Real Estate Agent, more customization at your fingertips, and more control on how your website displays the properties of your choice. This animated widget allows you to showcase any homes of your choice, in an animated slider. The widget displays three homes at once. Every nine seconds the slider scrolls to the next set of three homes automatically, refreshing your home page or a custom page on your website. Clicking on the image of a home will take that User to the complete Detailed Listing page of that property. 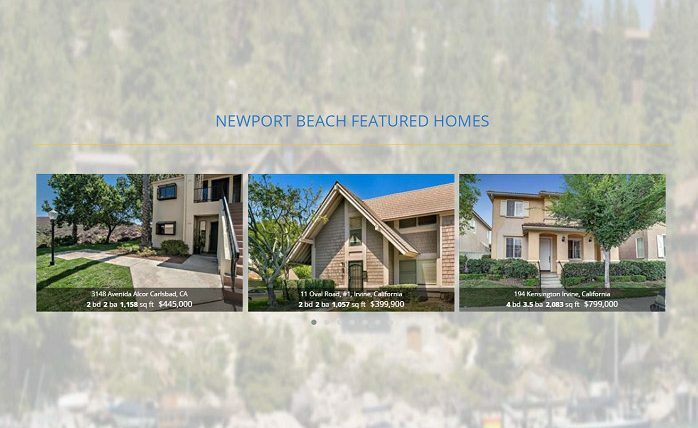 Since the Featured Homes Slider is only one image tall, this display will fit easily on your home page or on a Custom Area or Property Type page on your website leaving lots of vertical space for custom content or additional images. Like lots of beautiful Home pictures on your home page or an inner page? Well you are in luck! 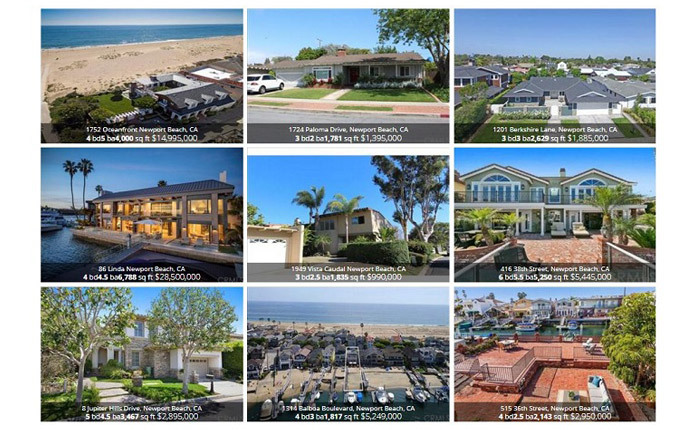 The Featured Homes Grid (FHG) displays twelve beautiful home images in a grid three images across and four images down. Like the Featured Homes Slider, you are free to add a FHG to your homepage and/or create a new page to highlight an area or a property type, add some content about the homes and drop in a grid on the page. The page will automatically update as homes update in your MLS. What could be easier yet so visually engaging to a prospective home shopper? The FHG works great on tablets and smart phones too! Adding these widgets to your homepage with customized search parameters in them will help your website to show up higher on Google and other search engines. Then adding Meta Tags and custom written content to the page will make it even more powerful online. In addition since the Agent123/ApexIDX Combo system is mobile optimized and the listings can be indexed on Google, you are on your way to being an online Real Estate Agent star! RealtyTech is committed to offering you tools like the ApexIDX Featured Homes widgets that not only look beautiful, but are professional grade with the ability to help you to become an on line marketing Real Estate Professional.